It did not take long for Prime Minister Binyamin Netanyahu and others on the right to find an opening in Benny Gantz’s election campaign once he started making speeches and giving interviews. 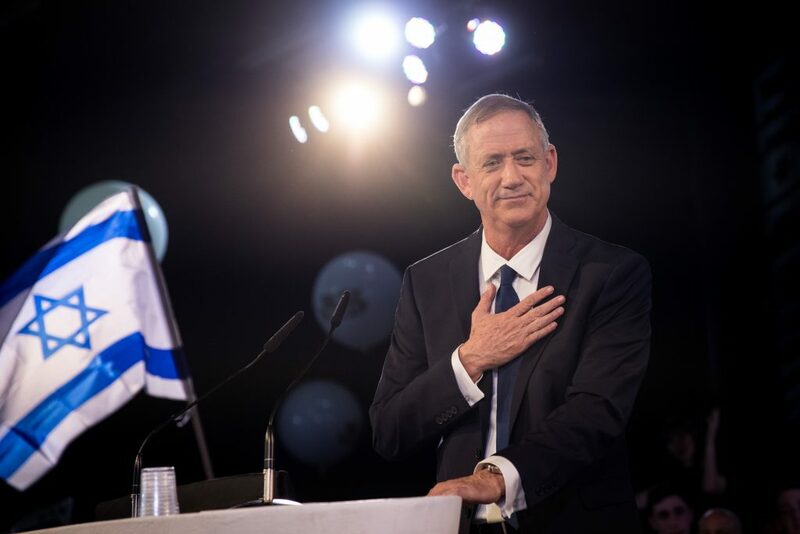 On Wednesday, as Netanyahu commented approvingly on the outcome of the Likud primaries, he seized on the opportunity to take a swipe at Gantz. “I am very pleased that the Likud members have chosen, in a precise and democratic way, a strong, impressive list that is good for Israel,” Netanyahu said. “But the trouble is that Mahmoud Abbas is also pleased, because Benny Gantz said today that he will carry out a second disengagement in Yehudah and Shomron, and Abu Mazen wished him success in the elections. ”So we must go together, win these elections and prevent this. This is the real essence of the elections: A leftist government headed by Benny Gantz or a Likud government headed by me,” the prime minister said. During an interview released partially earlier in the day, when asked “if, in fact, you support something like the  Disengagement,” from Gush Katif, Gantz seemed to do so. “The disengagement was born of Israel’s diplomatic policy. The parties involved got very high grades for managing to prevent a rift in the nation as they carried it out,” Gantz replied.